Thanks to on-demand information and services available anytime, anywhere, customers are more empowered than ever before and have sky-high expectations. It takes months to find a customer and only seconds to lose one, or so the saying goes. These days, however, it might be more like milliseconds. Thanks to on-demand information and services available anytime, anywhere, customers are more empowered than ever before and have sky-high expectations. If your customer is bored or impatient, confused or frustrated, for even just a second, there are a myriad of other choices they can turn to. Gartner predicts by 2020, poor customer experiences will destroy nearly a third of digital business projects, and PwC reports that 73% of customers now point to experience as an important factor in their purchasing decision. In this context, providing a personalised, seamless, predictive customer experience is a core pillar of business success – and the only way to achieve that is by connecting every part of the enterprise and making sure customers are at the centre of all decision-making. Connection and integration help businesses answer that all-important question – how do I maintain a single view of my customer? 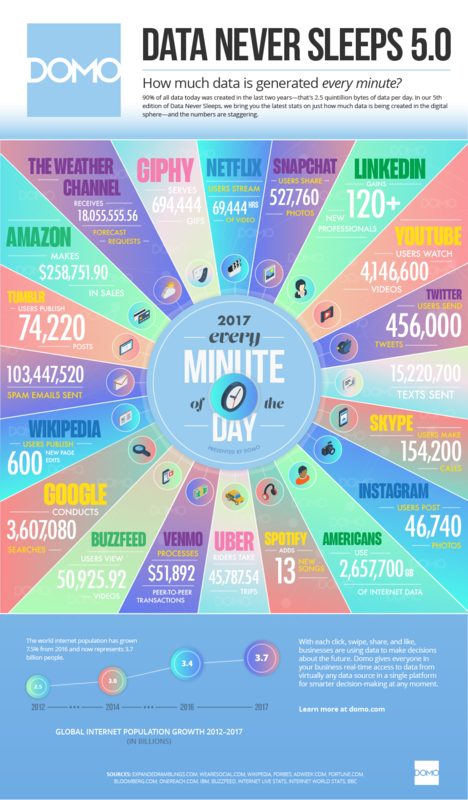 The average consumer generates a huge amount of data every day, across a vast range of channels; and in fact, an estimated 90% of the data that now exists was created in the past two years. On social, mobile, desktop and connected TV, consumers are creating masses of data based on their interests, purchases, location and brand sentiment. But when all that data remains isolated in business silos, the view of the customer becomes fragmented. Uniquely, cloud applications enable a single point of view on customer data. Through cloud, businesses can tear down silos so that more customer data is collected and shared, in an open and usable way, with everyone in the organisation. The integration extends from the frontlines of the business to help marketers create more personalised engagements, all the way to the back-office. Finally, data can be quickly and effectively used to streamline interlocking ERP processes across supply chain, manufacturing, logistics and more, as well as to inform broader strategic initiatives. Customer-centricity isn’t just about what customers can see – it’s a way an entire organisation works that starts from the inside out. When the existing business environment is integrated and interoperable, without the perils of siloed technology and thinking, continual innovation is finally possible. Customer experience is the new battleground and organisations need to put their customer at the heart of everything they do. One main quality amongst top performing organisations is that they focus their business processes on customer experiences across all channels. Bold organisations are setting an example of improving the customer experience at the front office and driving new innovation at the back office, to go above and beyond for customers in a competitive landscape. They’re doing this with investments in cloud so that they can use data in a more robust and connected way. High-end audio equipment brand Denon & Marantz is a fantastic example of a company that has used the connective power of cloud to provide the best customer experience. Through the Internet of Things, Denon collected data on how their products were being used, and discovered something interesting – when given the option to name their Denon wireless speaker, many customers called it “bathroom speaker”. With this insight in hand, teams across the business collaborated to give customers more of what they wanted. Engineers prioritised bathroom-proofing the speakers ahead of other product updates, and marketing teams spun customer outreach campaigns based around the humidity-resistance of the speakers. Working together and sharing data, Denon was able to provide a proactive service to customers and greatly enhance their experience with the product. It’s a similar story for global apparel fashion house Perry Ellis International (PEI), which deployed a new cloud solution to better personalise the shopping experience for customers in the US and the UK. Because PEI brands cover a large international footprint, multiple points of engagement for consumers had created complexity and made it difficult to understand customer behaviour. The business needed a new way to get a comprehensive view of its more than 1 million loyalty members, and a way to leverage all their data. The answer came in transforming the company’s customer relationship management system through the cloud; ultimately delivering a holistic view of how customers are engaging with PEI’s various brands, so that teams across the business can innovate and refocus their efforts amplifying the customer experience – in a way that’s faster and more insightful than anything that’s come before. Similarly, the Australian Red Cross Blood Service has transformed its booking process by leveraging cloud and taking the process digital. Now the Blood Service is proactively able to triage donors based on various risk factors, which allows donors to book donations at the time of their choosing and via a channel of their choice. Based on this triage process, the Australian Blood Service can offer additional community service by providing the donors with guides to monitor their health based on their risk factors. The Australian Blood Service has, in turn, saved over $3 million in marketing spend and $1.2 million operational costs and takes 10 000 bookings daily via its digital channels. By being able to digitally interact with donors, it is able to focus on providing safe blood to the Australian people and focus on its core value which is to save lives. Connected information is the fuel that drives customer-centricity. When businesses connect all the data and all the dots across the organisation, they can deliver rich internal insight and provide truly excellent experiences for customers. The next wave of customer service is already here, bringing significantly enhanced experiences to customers and re-defining which companies will come out on top.